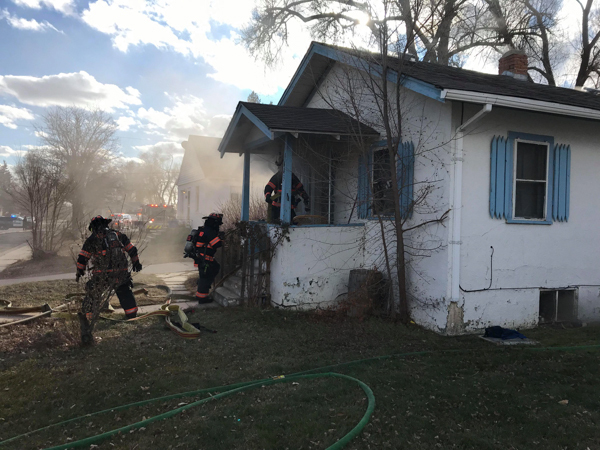 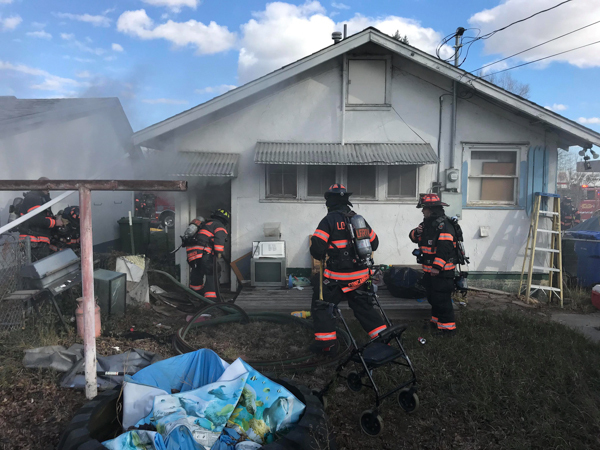 Around 13:40 on December 2nd, 2018 Loveland Emergency Communications Center (LECC) dispatched Loveland Fire Rescue Authority to a structure fire in the 1400 block of N. Washington Ave. Dispatch advised that a party was trapped in the basement, and Loveland Police Department arrived on scene and reported smoke and flames coming from the front door. 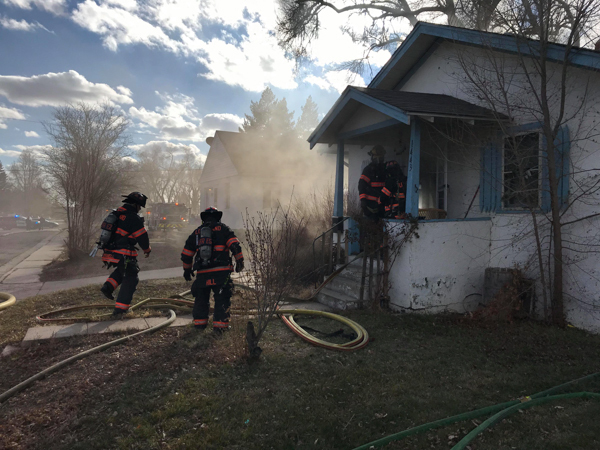 Engine 1 arrived on scene with a working basement fire with smoke and flames showing, stretched a green line to the Charlie side for fire attack in the offensive strategy. 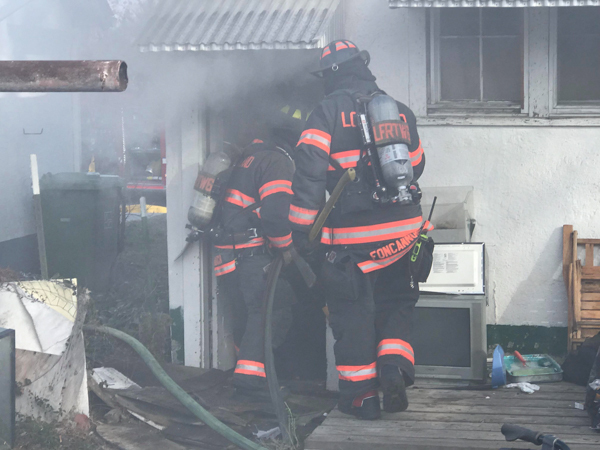 Engine 5 arrived and secured a water supply, Tower 6 started primary search in basement, and Rescue 2 assigned search on the first floor. 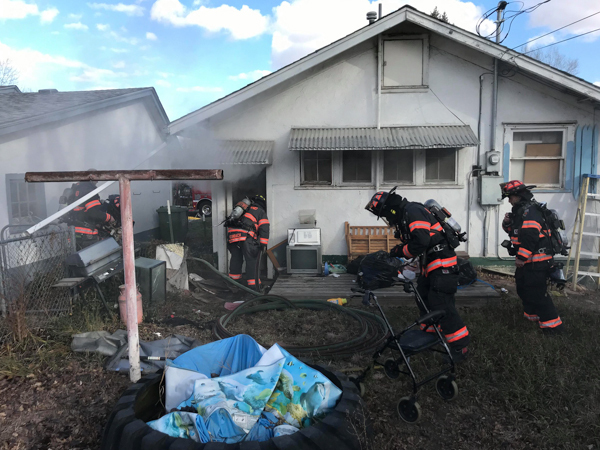 Crews located and rescued a victim, the patient was transported by Thompson Valley EMS Paramedic 341 to a local hospital. 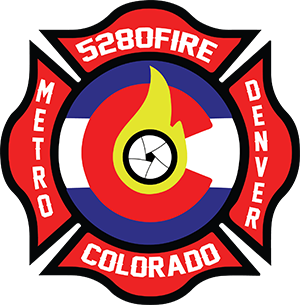 Paramedic 361 set-up as medical rehab, Command put the fire under control at 13:55, and crews started overhaul. 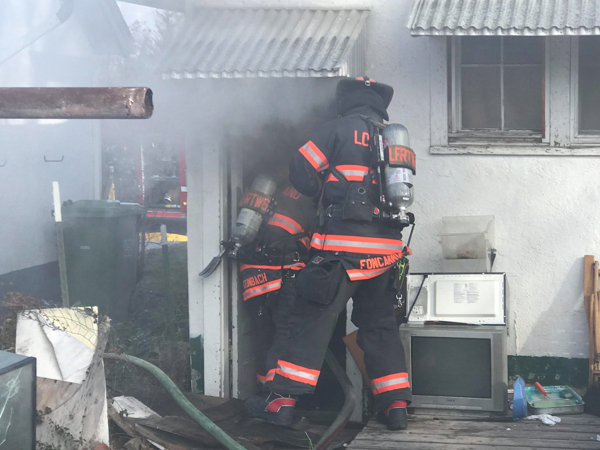 No other injuries were reported, and the cause of the fire is under investigation. 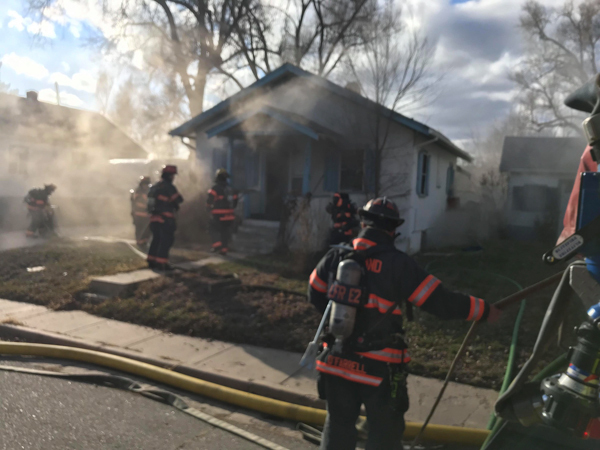 Additional information provided by Loveland Fire Rescue Authority.